Everyday there are about thousands of websites being build .So as a consequence there are now thousands of web hosts around the globe today. How do people decide to choose you? Potential customers will talk to friends; perhaps ask a local web design group; or consult their ISP (Internet Service Provider); but this may result in knowledge of only one or two hosting companies. There are hosting directories, and review sites which may be governed by whoever pays for the largest ad or personal opinions that seem popular. The visitor will still have to make the final decision. If these visitors make their own decisions, and there are thousands of web hosts to choose from, there are very few seconds to deliver your offer, which must be instantly obvious. What can you do to turn this streaming traffic into sales? Are the design, content and delivery up to customer expectations? If the presentation has obviously been thought about; a conscientious effort to delivery and content; then it is likely the visitor will believe that the hosting company will also look after their site conscientiously. If the presentation is poor, then forget it, there are more than enough web hosts that look good. Of course, to the other extreme, if the web host's site looks a million dollars, it is likely that the visitor will be expecting to a pay a 'million' too! The Initial Offers What are your best packages? With the sudden growth of the web, the hosting industry has had to take a retail approach to content delivery. In the retail trade the offers are so many, that the customer has to learn to speed read, or speed view. Visitors to web hosting sites have not got the time to read all the details on each of every one of thousands of sites, so speed viewing is a must; or is it? Web hosts who have nothing to sell usually hide this fact by showing columns of text, expecting the visitor to sort out what is good to them or not. The usual explanation for this is The visitor knows what they want and will find it without our hassling them. The expectation is that with less hassle the visitor will more likely become a customer. Not true. 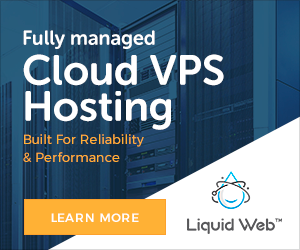 Web hosts that have special offers, great deals, or offer specialized packages for say private, business or corporate customers; will tell you just that. Think about it, why hide the fact you have a winner? By taking a retail approach to a very retail business, the real deal makers are not 'backward in coming forward'. Obviously making everything on the site an 'excellent' offer is the other extreme. Most web hosts offer 90% of what their competition offers, so to point out every good point offered would be overkill. The likely result would be that you would show the visitor that you are new to the industry, and less experienced; not good in times of future support.